℗ ℗ 2008 Chick Corea Productions, Inc. & Gary Burton, Inc. 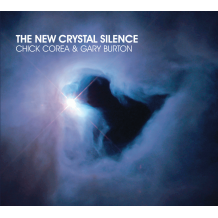 Issued under exclusive license to Concord Music Group, Inc.
© © 2008 Chick Corea Productions, Inc. & Gary Burton, Inc. Issued under exclusive license to Concord Music Group, Inc.